Sometimes you just do not know how to create a personal budget because you are not sure how much you will make every month. This is called variable income. Anyone who works as a freelancer or counts themselves among the self-employed in this country knows the struggle very well. When your income fluctuates wildly from one month to the next it can be a challenge to build a proper budget for you or your family. We all need to make a budget to live on. We do this so that we can meet our monthly expenses, keep a roof overhead, and eat. However, you are going to have a difficult time coming up with a spending strategy without knowing how much you could be making at any given time. It is hard to do while wondering when you are going to be paid or establishing any sort of projected future income in the coming weeks and months. That is not to suggest you will not get the job done periodically. Some months may prove to be quite comfortable. The biggest obstacle, however, is being surprised by a check not arriving when expected. Another is a client telling you that your services will not be needed this month or the project has been canceled or ended sooner than expected. You are suddenly left without a portion of your income. Freelancers and the self-employed know these things all too well. Some of them figure out ways to circumvent these eventualities. Yet, there are times that no amount of planning can avoid those occasions where the money spigot is running at a trickle, as opposed to the free-flow of routine work you had been enjoying. Unfortunately, by the time you realize you are facing a dry spell, it is often too late to do much about picking up the slack. However, this does not mean you can’t create a budget that will work for your employment lifestyle. Part of the reason freelancers and self-employed folks prefer working in this manner is because no two days are often the same. There are advantages and drawbacks to everything and, in this case, your revenue stream will typically follow the same routines as your work week. No two are the same when it comes to the frequency of your income. That is why you should look into implementing a zero-sum budget to regulate your spending. You will find it to be one of the most valuable personal budgeting tools that you will ever use. The basic rule of zero-sum budgeting is that you assign every dollar that comes in toward a specific expense. Determining what that expense will be is entirely up to you. Though, it should be done in the same responsible and timely manner as if you were making any budget for handling your household and other monthly expenses. It is all about making the most out of your income so that nothing is wasted and everything is paid when necessary. If you reach zero at the end of the month, with respect to subtracting your expenditures from your income, then you have done it right. Since that sounds a bit confusing, let us illustrate it with actual dollars and cents. If you have allocated money to every monthly expense on your budget, from the cell phone to your rent to your car payment to the food bill, and you still have $174 left over, then you are not finished. That last bit of money needs to be assigned to a line item in order for your zero-sum budget to be successful. It is very important to keep in mind that is not necessarily an invitation to splurge on frivolous expenditures. It only means that the money has to be placed somewhere. Choose that place wisely. If doing so means putting it away in an emergency fund, a retirement savings account or paying off some credit card debt then so be it. At least you will have allocated it somewhere that falls within the budget you are creating. This may seem relatively simple. However, there is one facet of the plan that could prove to be a slight complication. The way zero-sum budgeting works is by relying on the income of the previous month to cover the expenditures of the current month. That means you will need to save up a fund that is equal to a minimum of one month of your financial obligations and payments. The idea of using money from last month to cover your bills for this month is the foundation of any zero-sum budget strategy. Thus, if you are going to start implementing this plan, the time to start saving has arrived. Freelancers and self-employed workers may not always have this much money to call upon whenever they need it. Hence, it might require some savvy saving in order to get one month ahead on your finances. 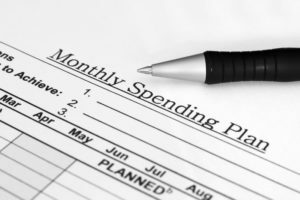 If you are one of those folks who will need to squirrel away that amount first, the time that it may take is dependent upon your monthly spending. Therefore, you first need to sit down and figure out how much money you spend each month. Take everything into account. This includes rent or mortgage payments, car payments, the cable bill, and the cell phone. It is important not to forget anything. If one dollar is spent every month on a necessity of any kind, you need to lump it into your calculations. Now you have a number equal to everything you owe each month. You have a savings target that you need to hit before you can start making your budget. Put a little bit away here and there. Before long, your financial cushion will be big enough to manage your budget. You will now have a handle on what you need to spend every month. Additionally, you have got roughly one month’s worth of those expenses in the bank. It is time to start working toward building a budget that can weather the ups and downs of a seesaw income from month to month. These are some of the steps you may want to take in order to match your particular financial situation. Come up with a real and accurate method for taking care of your bills by using the money you already have in the bank. 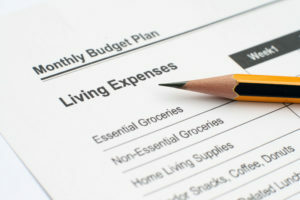 We have already talked about calculating your monthly expenses. In doing so, you gathered up everything together. Now you can establish a monetary cushion to be certain that it is all covered each month. However, you are not going to be making the same amount of income each month. That is the whole reason for this exercise. Hence, you need to establish a budget that is built solely on the essentials. The point here is that all of your expenses are not essential. Thus, determining which is necessary will be important if you are going to be able to remain in your home and have enough to eat. What are the essentials in this case? Is it your rent or mortgage payment? It could be your gas and electric bills that supply lights and heat. Don’t forget the grocery bill, your cell phone, Internet, car payments or other transportation costs, not to mention any childcare costs you may have. These are the absolute base-line necessities that need to be covered every month. They hold top priority on your list of bills that must be paid first. However, you may want to include at least one line item for putting money away for your savings or paying off debt if you have that component to your finances. These are crucial parts of your monthly outlook. You certainly do not want to ignore them if you have goals in place for getting out of debt or creating a nest egg for your retirement. Now that you have the basics covered, check out the rest of your expenses on that first tally you created. You will probably find all the discretionary things such as the cable bill, money for eating out and putting cash toward recreation and entertainment. Adding it all up will give you a number that might be up for some re-examination. Maybe you are spending too much on hitting up Starbucks every morning. You could save a lot if you buy coffee at the grocery store and make your own cup daily. Perhaps you could save some money by getting the smaller cable package since you are not watching all of those channels you have now anyway. Some of the expenses may be varied from month to month. If that is the case, just determine the average and use that for your calculations. Once you are all set, you know what else needs to be covered. However, that is only after the essentials are paid off first. Obviously, the goal is to pay all of your bills in full every month. Though, with a variable monthly income that can’t always be an assured guarantee. Therefore, it is good to know what you can pay and what may need to wait any given month. It is already a smart financial move to put some money away in case of emergencies. Yet, if you live the life of a freelancer having an emergency fund makes even more sense. That is because you never know when some extra cash on hand is necessary. Most people typically set aside an emergency fund when something unexpected comes. This includes things such as a costly medical bill, an expensive car repair, or some other major expenditure that you just can’t plan ahead to anticipate. For those on a variable income, that emergency fund can cover those out-of-the-blue costs. It can also serve another purpose that freelancers and the self-employed know all too well. That is the loss of income. This can be due to the completion of a project or a client informing you that your services will not be needed as a result of some changes on their end for whatever reason. If you work for yourself, then chances are you know exactly what I’m talking about. You should have some emergency cash to fall back on. In the event this sort of thing happens (and it will), you will still have the resources at your disposal to pay the bills that might be in left hanging in the balance without it. Developing your emergency fund should be based on your current lifestyle and the expenses you have from month to month. While this may vary from one individual to the next, most financial gurus offer a general guideline. They suggest putting away anywhere between three to six month’s worth of your income. However, if your income vacillates from month to month, that might be tough to ascertain. Thus, go by the average of your best month and your worst and then multiply that by three or six. Then you should start saving. You will get that emergency account funded in no time. You will no be prepared when there is a month (or more) where the work isn’t coming in regularly. At the start of the month, you are going to pay your bills. Deposit that money into your checking account and allocate what needs to go where based on your budget. Take care of the essentials first and then pay off the discretionary items. When it’s all said and done, find out where you may have some overages left. Maybe the gas bill was less this month and you have some extra money left over on that line item. Since you have created this budget, those extra infusions of cash can be put toward things you’ve designated instead of being spent without much consideration. Put that money into savings or some other line item where you should be allocating a certain amount. 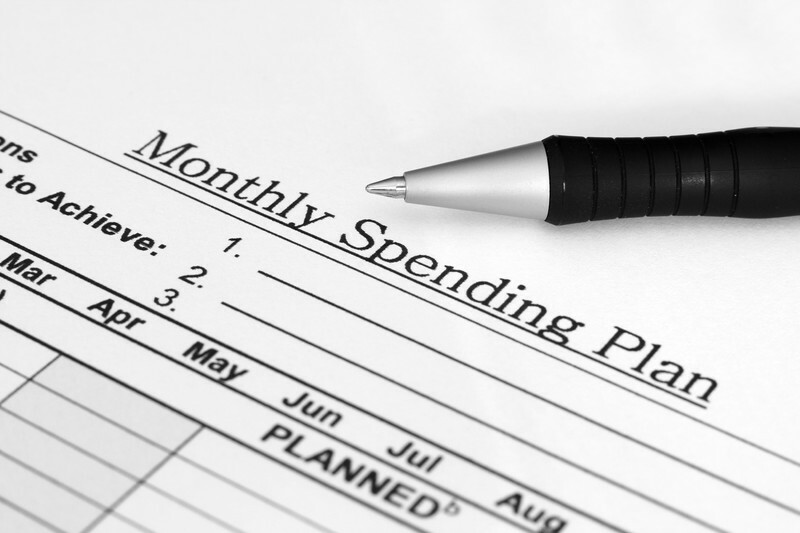 Keep an eye on your expenses every month as you continue down the path of zero-sum budgeting. Do this because your spending trends may shift. That means you will need to change your budget for the next month and so on. This is especially true for those expenses figured into your budget that may fluctuate each month. Nobody spends the exact same amount at the supermarket every time. You might go to a play instead of the movies one month. These are the expenses you really need to stay on top of so that you don’t overspend and throw everything out of balance. Your careful planning can be quickly undermined if you do not stick to your budget. That is why you need to watch your money closely and be frugal when necessary. It’s called a “zero-sum” budget for a reason. You may not need to pay every bill at the beginning of the month. Some may be due in the middle or toward the end of the month. Sometimes a bill is due on the 23rd and that can be annoying. Pay it early and you’ll always be in good standing. Whichever way you decide to pay your monthly bills, there should always be one specific goal in mind. That target is to reach a zero sum when all is said and done. That means your monthly bills are paid. You have bought food and other household items. There’s gas in the car or money on your public transportation card. Consequently, there’s almost nothing left in your checking account. Notice I said checking not savings or any other accounts where you should accumulate some money every time. Remember, you want to save a little bit every month. This is not only in a savings account but that emergency fund should start to look nice and healthy. Anything that is left over in your checking or primary account should already be allocated toward planned expenses, such as entertainment and recreation. Go ahead and buy those tickets or make dinner reservations. You’ve earned it, and better yet, budgeted for it. Making a budget is not something you do once and then forget it. That might work for those who are earning a steady salary where they know what’s coming in each week. However, for you, this is an ongoing procedure that you will need to repeat over and over again. Every one of these steps is going to play an important role in keeping you budget-conscious. You will be on track to meeting your expectations every time. Put the money you need for each month into your checking account. Place the rest into any of your savings vehicles. Whether it’s a saving account or your emergency fund, pay off everything until you reach zero. Do it every time, every month. You might be tempted to stray. If you find yourself making a windfall one month, don’t splurge. Put it aside for a leaner future month. It does not hurt to treat yourself once in a while, but keep it to a minimum. That’s the thing about a variable income, some months you come out ahead. While that may be exciting, just remember that it will not be like this all the time. Thus, responsible money management dictates that you prepare now. Nobody is perfect. Sticking to any kind of budget might be a challenge for those unaccustomed to the practice. In the case of budgeting for a variable income, the task might prove a bit tougher. That is because there are many components to success. You might slip up, you might miscalculate, or you might allocate incorrectly. It’s all okay. This is a trial and error situation. At least you have started the process of getting your finances under control. You may need to make some adjustments from month to month in order get everything covered. Some months you might have less coming in than other months. That will likely spur some ad-libbing on your budget in the future. It will get you into a routine that is successful every month. The most important thing to do is stick to your budget. Do not get frustrated. Yes, there will be some sacrifices involved. You may need to forgo some things you want and skip unnecessary purchases that you probably won’t miss anyway. But it is all for the greater good of your financial situation. The goal of building a budget is to have enough money to pay your bills and meet other financial obligations that you may be facing. That does not mean you need to live a life of joyless toil. Your money is there to help enrich your life as well. Therefore, if you have budgeted correctly, there should be enough there to have some fun and make some purchases for your personal enjoyment. You work hard each day and hopefully that will pay off in the form of wealth. Chances are, down the line, you will start making more than you are spending each month. That means you will need to make some decisions as to where that additional income should be allocated. For many, debt is a real issue that needs to be addressed. If getting out from under high credit card balances or you’re paying off a loan, then this extra money can spell freedom from that debt. If you are among those who have paid off all your debt and your credit score is high then you may want to research ways to make this additional income work for you. Here is where budgeting really comes into play. That is because you do not want to waste all of that extra cash. Having a place to put that money, be it in a line item on a budget or into investments or savings for retirement, is always going to be a good idea. Now that you know how to build a budget for a variable income, you have a skill that will come in handy anytime.